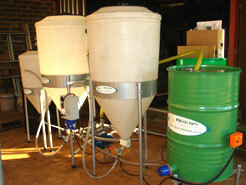 From R12950 you can start producing your own Bio-Diesel immediately. makes 60 litres of Bio-Diesel per batch per day. Suitable for personal or pilot production. 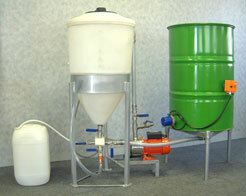 Makes from 210 litres of BIODIESEL per batch per day. Makes 630 litre of BIODIESEL per batch per day. Litres of BIODIESEL per batch perday. 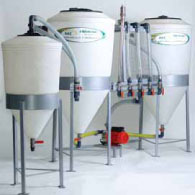 Easily upgraded to 9000L daily production capacity due to modular design. This Series utilises a continuous semi-automated batch process to produce SANS 1935 spec BIODIESEL 24Hrs a day. 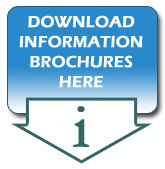 A full technological, marketing, business and financial support program is available under our franchise or joint venture business model with this series. Production capacity from 1600 to 15 000 Litres per 24 Hrs are available, for commercial production.